In the olden days, Nerja was a small fishing village, but today it's the biggest tourist centre that we can find to the east of Malaga. Nerja's old quarter still maintains its original charm, where we'll find many tourist attractions that make a visit to Nerja a must when we're visiting the villages of the Costa del Sol. Amongst the places to highlight, the Balcony of Europe is a cliff overlooking the sea and surrounded by two beaches. It's a favourite amongst the tourists for its views of the Mediterranean sea and it's located very close to the tourist office. The Nerja Caves are another of the main tourist attractions, we must not leave Nerja without visiting the caves. Nearby Nerja we'll find Frigiliana, only 6kms away, and a bit further along we'll reach Almuñecar, situated on the western side of the Tropical Coast. of the most beautiful sceneries on the whole coast. But Nerja is probably more famous for the Caves. The caves, called the "natural cathedral of the Costa del Sol" are located 750 meters from the coastline on a hill of the Sierra de Almijara mountains, about 200 meters above sea level. In July takes place inside the cave the famous Festival with dance and music, one of the most important cultural events of the Costa del Sol. For its extreme beauty, it is a must-see during your visit to Nerja. In order to facilitate the access, there is as well available a bus service to the Caves. Nerja has a mild climate all year round, which allows even the cultivation of subtropical fruits such as custard apple and avocado. 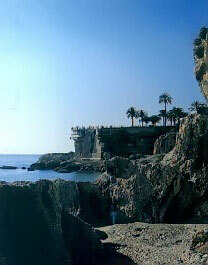 Nerja has several beaches among which are most notably those of Burriana, Calahonda, El Salon, La Torrecilla and Playazo. In addition to its 10 beaches Nerja has many small coves hidden among cliffs, which are accessed mostly by local roads between crops and making the last stretch on foot. Its natural beauty gives them a certain wild charm and their difficult access ensures a low occupancy of bathers. The Natural Park Sierras de Tejeda, Alhama and Almijara forms an imposing mountain range north of the City of Nerja, between the provinces of Malaga and Granada. It has a rich flora and fauna, deserving special mention the birds of prey and the wild goat. It has several marked paths ideal for hiking. If the Costa del Sol stands throughout Europe for its mild climate throughout the year, this small town on the easternmost Costa del Sol stands out among all localities by the exceptionally mild climate, for which it is considered to have the best climate in Europe. Nerja is located on the shores of the Mediterranean Sea and backed by the high Sierra de Alhama, Tejeda and Almijara mountains of nearly 2,000 metres height protecting the coastline from the cold north winds and creating a subtropical micro-climate which allows the cultivation of tropical fruits like custard apple, mango and avocado. This excellent climate boasts more than 300 days of sunshine a year and pleasant temperatures in the winter and not too hot summers. Average temperatures in summer are 77° F (with maximum of 91º F and minimum 63º F) and in winter 59º F (64º F maximum and minimum 51º F). Nerja hotels and villas abound, nothing but a necessity for the number of expatriates checking out the area, as well as the summer tourist boom that fills the city. Accommodations fill a range of needs, from economic apartments to ritzy hotels. Those looking to stay in the nicer hotels during the summer should book several months in advance, as these fill up quickly. Find out more about Nerja Hotels, Luxury Hotels, Accommodation and Lodgings in Nerja, Andalucia, Spain and Apartments in Nerja. There is a swarm of options for eating out, with upwards of 400 bars and restaurants in Nerja. Seafood is reasonably priced and often available on beach restaurants, a long-time tradition on the Costa del Sol. Some typical dishes are char-grilled sardines, ajoblanco (a refreshing garlic soup), migas (fried bread crumbs and sausage bits), tortitas de bacalao (salt cod cakes), and De La Doncella (red mullet). Due to the high number of foreign residents and business owners, other cuisine (especially British) is also widely available. If you're looking for a school, sports facilities, or other information about Nerja you can find out more using this link of Nerja Town Hall. There are plenty of reasons for buying property in Nerja. In the town centre you will find apartments and penthouse apartments for sale. 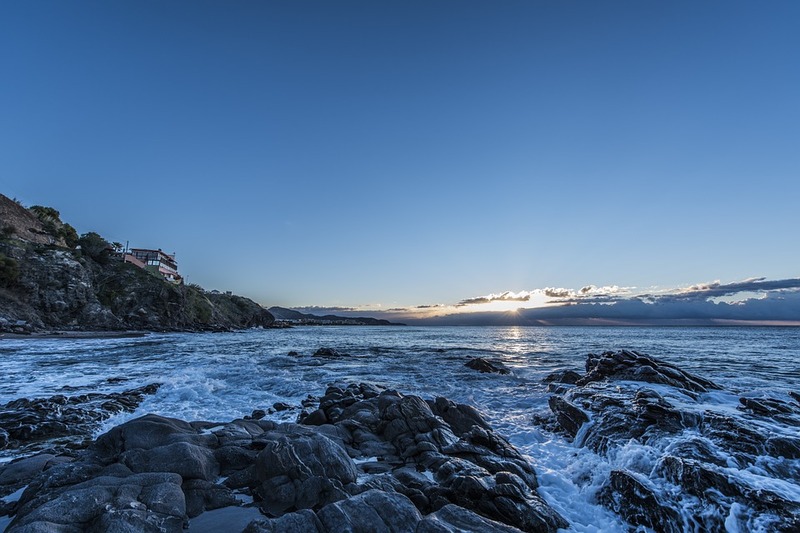 In the town, you can find properties with sea views, where many of them are located in the narrow winding streets, making it the perfect choice for those looking for a charming town house or apartment. The town of Nerja has over a dozen beaches, which is why we are one of the municipalities with more variety of beaches in Malaga. Isolated beaches, semi-urban o urban, more or less crowded beaches, nudist or not nudist beaches, with many or few services. Nerja is a municipality in where enhance their urban beaches, such as LaTorrecilla Beach or Burriana beach, the two most populous municipality's beaches, and the two best-equipped beaches. The two-and they are not the only -have services, showers, and access for disabled people, something very important for the access of people with disabilities. We must emphasize Torrecilla beach and Calahonda beach also for its promenade. But on the other end of what the urban beaches are we can find the isolated beaches which are in the Natural Park of the cliffs of Maro, we are looking at nudist beaches like Alberquillas beach or more crowded beaches for nature lovers who are small creeks in the area of the Park. Undoubtedly, we have a wide variety of beaches for you to enjoy during your vacations. There are plenty of restaurants in Nerja, pubs and nightclubs open till early morning, live music venues with music to suit nay kind of people and tastes and the karaoke bar. However, the main point of activity, particularly during the summer months, remains in and around Plaza Tutti Frutti. Plaza Tutti Frutti has undergone a fairly extensive makeover during 2007/2008 with palm trees, ornamental garden pieces, seating and the whole area is now paved and minus the potholes we came to love and avoid. At night it becomes a vibrant heaving mass of humanity looking for having a good time. There is music to suit most tastes and, on occasion, you may find the odd 'live' event. Metal/Rock fans should head for Pub Tantra. 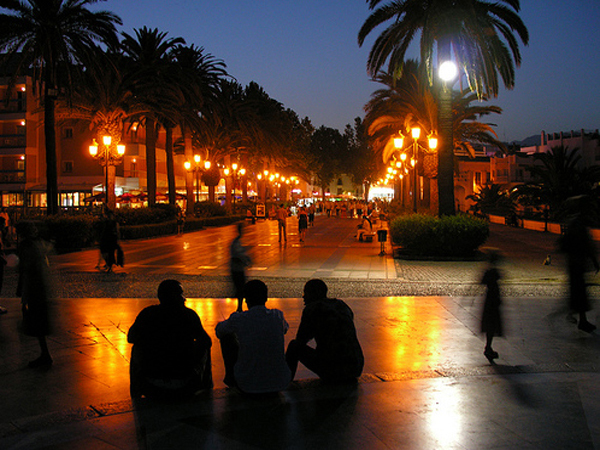 Find out more about the nightlife in Nerja and how to get the most of it! Nerja had a tourist boom around 1959, just after the discovery of the famous Cueva de Nerja; that boom came with the consequent development for the tourism and the arrival of many tourists visiting Nerja. Nerja is 66km from Malaga airport. There is no direct bus from Malaga airport to Nerja, so you will have to transfer at the bus station in Málaga. Buses depart every 30 or 45 minutes towards Nerja and takes about 1.30 hours to arrive. You can take a taxi from Malaga airport to Nerja, and the approximate cost is 66 €, so it is cheaper to rent a car for a week at the same price aproximately, as it would provide greater freedom. There is not a train link to Nerja. Malaga car hire can be a nice and cheap option if you want to have freedom of movement and if you need a vehicle. Transfers from Malaga airport to Nerja is a quick and convenient way if you don´t need to rent a car, it can take you or your group to Nerja. 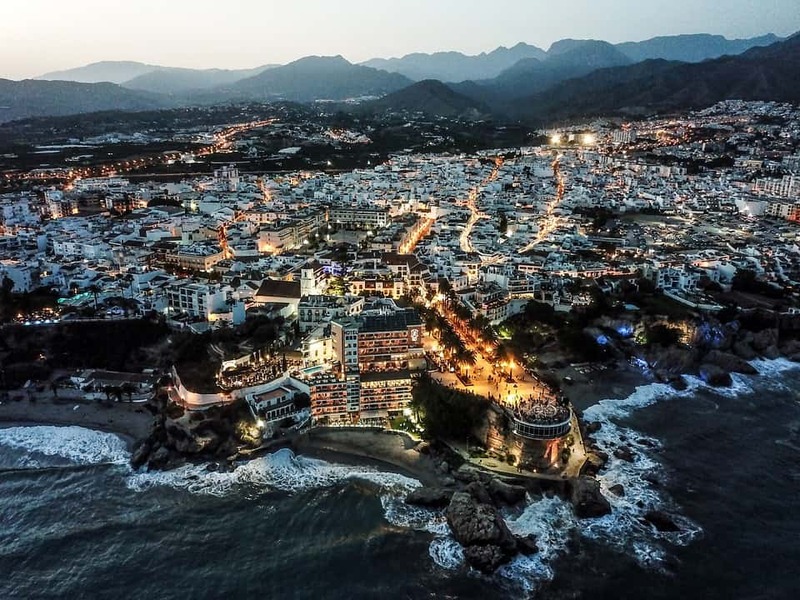 Continue reading in how to get from Malaga airport to Nerja,it could be of help if you are looking for the road route, and if you still have questions about how to go from Nerja to Malaga airport don´t hesitate in contacting us in the Malaga transportation forum. Find below some useful information and the official Nerja website. Enjoy your holidays in Nerja!